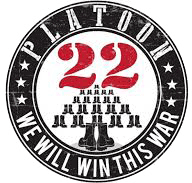 Platoon 22 is a traveling memorial started by the non-profit 22 Needs A Face. 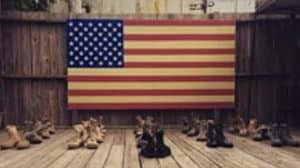 The boots in the Platoon 22 memorial symbolize the 22 lives lost per day, 682 lives lost per month, and over 8,000 veteran lives lost each year to suicide attributed to PTSD. Raise capital to help support severely underfunded and undermanned crisis call centers to make sure someone answers their call for help. Advocate for legislative and VA policy changes that will ensure a mental health professional sees every veteran as part of the military out-processing and VA enrollment procedures. Their main focus is to gain an objective understating of PTSD, fund research to effectively understand, diagnose and treat PTSD, and fund programs centers around Veteran healthcare. Through outreach and events, Platoon 22 is providing progress and hope to veterans and their families. At HCR, we are committed to the success of every separated member of the military. We are proud to support those who have served, and believe that we have a debt of gratitude to pay to those who answered the call of our country. Please join us in protecting the futures of those who have given of themselves to ensure the future of us all. To learn more, visit http://platoon22.org.